Alumni Maiszon Balboa committed to Air Force, joining Rampage alumni Matt Pulver and adding his name to the long list of Rampage alum to suit up as a Falcon. 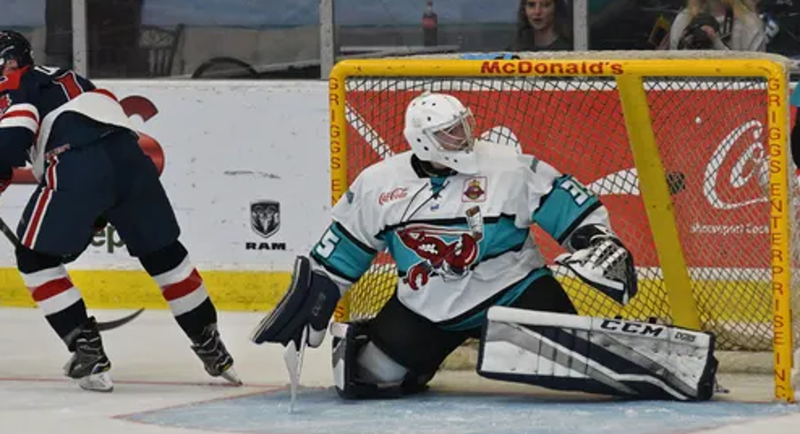 Balboa played 2 seasons with the Rampage, standing between the pipes from 2016-2018. His last year as a Rampage, Maiszon posted an impressive .921 SVS% and 1.79 GAA over 18 games. After a strong year in the 18U T1EHL, Maiszon signed with the Shreveport Mudbugs of the NAHL (North American Hockey League). Currently after 21 games, the 6'1" athletic goaltender posts a .909 SVS% and 2.77 GAA, making an easy decision for AF Falcon's coach, Frank Serratore, to pull the trigger and commit to Balboa.